Here the reasoning behind one of my criticisms of higher education: the factory model — a model that is in near-complete collapse — was imposed upon universities at the turn of the 20th Century by well-meaning industrialists who simply wanted to establish some discipline on the chaos that reigned in those days. Their charges jumped on half-developed industrial engineering theories and folded them into public policy, and that is the legacy we cope with today in the form of bloated bureaucracies, an over-reliance on measuring inputs, ineffective testing, and a largely parasitic accreditation industry. Now we have a new generation of tinkerers who hear that costs are out of control and want to automate the hell out of college teaching instead of focusing on spending the money more wisely. Let me give you a preview of one of my conclusions: it’s not that we cannot afford to teach undergraduates the old way, it’s rather that everything from intercollegiate athletics to debt-laden performing arts centers grabs budget dollars before they get to the classroom. The main financial threat to American colleges and universities is mission creep, not a lack of robot-teachers. That’s why I was particularly intrigued by Audrey Waters’ critique of Khan Academy that appeared in Explainer. I am a fan of Khan and especially his content — in fact, we are launching a program called TechBursts at Georgia Tech’s Center for 21st Century Universities to experiment with how to deconstruct a mature curriculum along those lines — but like Waters I am somewhat alarmed that there is such a rush to declare Khan Version 1.0 such an unqualified success. 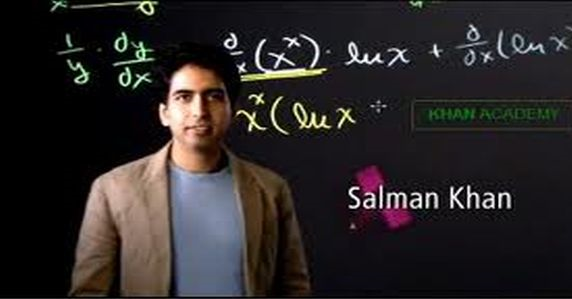 It’s not that I am swayed by the “Yes but conducting a hands-on experiment is so much better than Sal Khan’s explanation of force…” argument. Indeed, deliberately taking the laboratory out of an introductory physics course does not seem like a good idea, but Khan does not advocate that either. Classroom inversion would in fact allow more time for mentoring in a more interactive laboratory setting. Technology replacing teachers: OK, it’s not a good idea, but in the all-or-nothing world of transforming higher education there’s no such thing as just a little automation. The zealots want it all. Old Wine, New Bottles: I don’t know if Khan Academy is bad pedagogy (Although I suspect that it is not since it seems to me to be pedagogically agnostic) but applying a layer of 21st Century Technology to a 19th Century curriculum does not sound at first blush like a good way to start the transformation process. Learning or Leveling Up: Waters outlines a critique of gameification and somewhat unfairly says that the major criticism is that it puts the emphasis on earning badges rather than learning. But so does the inflation-ridden practice of traditional grading. On the other hand, there is a rush to Web 2.0 platforms that is not informed by even a sliver of experience in actual college settings. Part of a Larger Trend: This is the most worrisome critique. There are severe problems in higher education, but quick fixes that nibble at the edges probably just make things worse. At best, they divert attention and resources from more severe problems. At worst, they promote change for its own sake, and that is never a good idea. It’s unlikely that the first generation knowledge bursts that Salman Khan assembled on a shoestring are the salvation of higher education. They are Version 1.0 of a technology that has not even been thoroughly wrung out yet. It’s great that Bill Gates is a backer, but does anyone remember Windows 1.0? It took Microsoft three versions just to get it working.